Day four of the Rio Olympics 2016 brought some cheer for India following a largely disappointing day three. The stand out performers of the day were archer Atanu Das, the men's hockey team and boxer Vikas Krishan, all of whom enjoyed dominant wins. Das won two rounds within a span of an hour, the hockey team put in a spectacular work to maintain their lead, and Krishan was at his powerful best to notch up victories in Rio. So there, Shobhaa De. However, the campaign of two Indians – rower Dattu Bhokanal and shooter Heena Sidhu – came to an end. Here's a look at how India fared on day four in Rio. 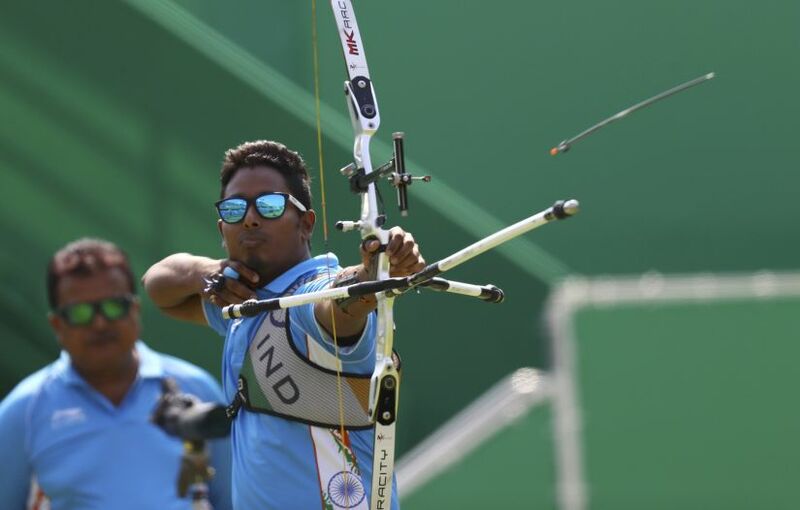 India's only male archer in Rio, Atanu Das, put in an exceptional performance to enter the men's individual round of 16 with a 139-135 win over Cuba's Adrian Andres Puentes Perez. In a thrilling best of five sets encounter, that lived up to its billing, Das edged out his opponent 28-26, 29-26, 26-27, 27-28, 29-28, punching above his weight. Das grabbed a two set lead, hitting three perfect 10 shots out of his first six attempts, while Adrian managed just two. But the Cuban managed a turnaround in the fourth set, hitting two consecutive 10s, to make it two sets each. But in the all important final set, Das kept his focus intact and hit two successive 10s to secure the contest in his favour. Earlier in the day, Das had beaten Nepal's Jitbahadur Muktan, 88-76, winning the first three of the best of five sets 29-26, 29-24, 30-26. 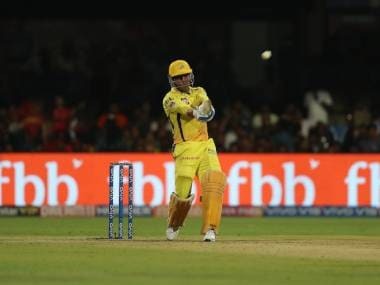 He started with two perfect 10s, out of his three shots in the first set. JitBahadur only managed one perfect 10 score in the first round. Das maintained his good start in the second set, again hitting two 10s to pile up the pressure on his Nepali competitor. Das kept his best for the third and final set as he hit bull's eye thrice to close out the match with three perfect 10 shots. Das will next face South Korea's Seungyun Lee on Friday. Meanwhile in hockey, a gritty India beat Argentina 2-1 in a pool match, overcoming the disappointing loss from the day before to Germany. Chinglensana Singh scored in the eighth minute, followed by Kothajit Khadangbam in the 35th to give India a 2-0 lead. However, Argentina's Gonzalo Peillat scored in the 49th minute to reduce the margin. This was India's second win in three Pool B matches, after beating Ireland 3-2 and losing to Germany 1-2. India dominated Argentina in the first three quarters but came under tremendous pressure from the Los Leones in the final 15 minutes during which they conceded as many as five penalty corners. 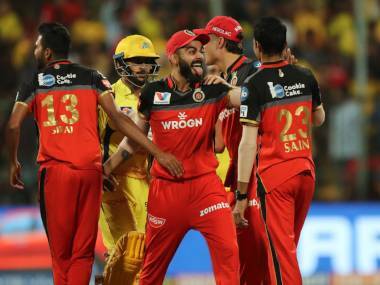 It was a tense final quarter for the Indians but the defense and goalkeeper PR Sreejesh kept their nerve to maintain the lead, especially in the final quarter. India will next play London Olympic silver medallists Netherlands in their penultimate pool match on Thursday. 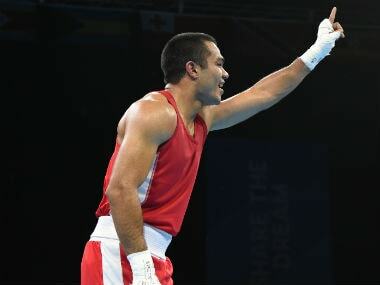 Vikas Krishan Yadav started India's boxing campaign at the Rio Olympics with a dominant victory over USA's Charles Conwell. 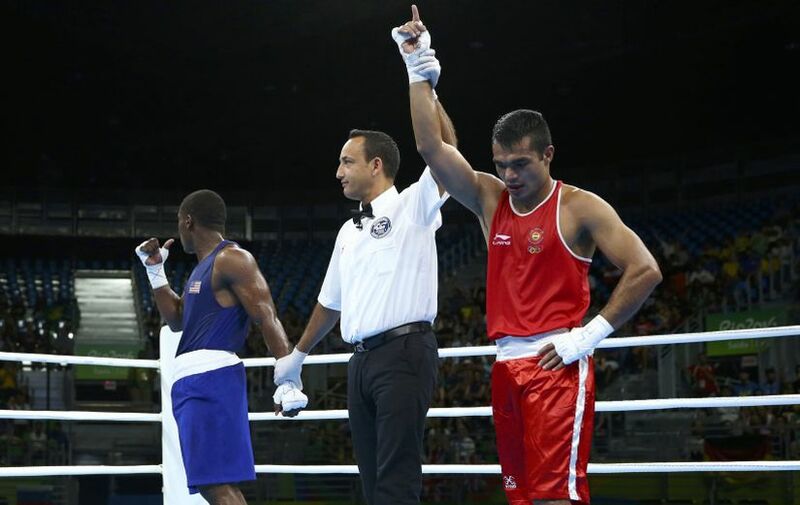 The Indian outpunched the 18-year-old American by a unanimous decision in the Round of 32 bout, with all three judges ruling 29-28, 29-28, 29-28 in favour of the Haryana boxer, sending him to the pre-quarterfinals. Conwell was more aggressive in the final round as Vikas focused on preserving his lead. The American produced a much better show in the closing stages, but it proved to be too little too late. 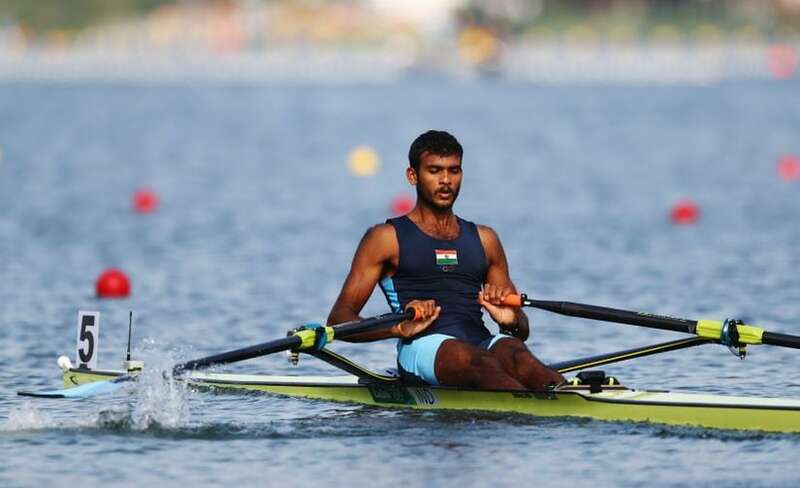 In rowing, India's Dattu Bhokanal, the army man with an unlikely road to Rio, finished fourth in his men's singles sculls quarterfinals. He was placed 15th in the overall standings, which put him out of the medal contention. He started in lane five in the fourth quarter-final set and ended the race fourth among six rowers at the Lagoa Stadium. Four sets of quarter-finals were conducted, each with six rowers. The first three rowers of each set of quarters (12 in total) qualified for the semi-final A/B. The remaining three rowers of each set (12 in total) qualified for the semi-final C/D. Bhokanal finished the 2000 metre mark with a time of 6.59.89. His C/D semi-final, for determination of the 13th-18th position in the standings, is on Wednesday. Shooter Heena Sidhu's campaign at the Rio Olympics ended after she finished 21st at the end of the 25m pistol Rapid Stage qualification. With this, the challenge of Indian women shooter's at Rio 2016 also came to an end. 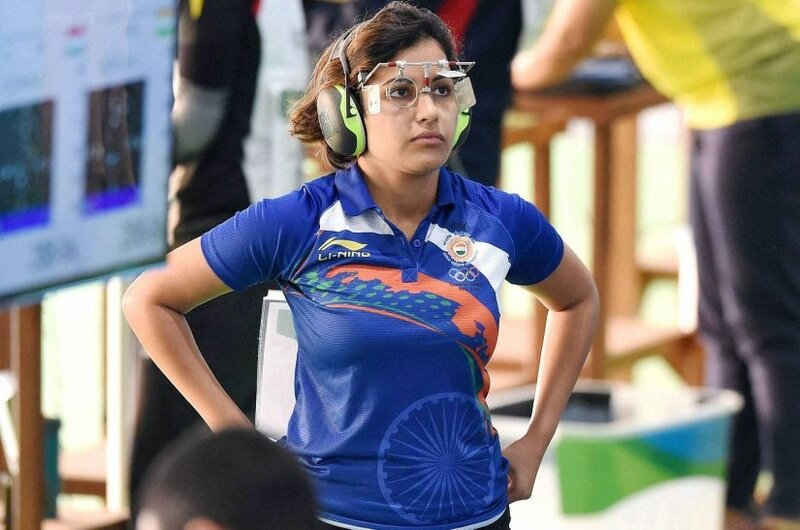 She managed to score a total of 576 after the Precision and Rapid stages at the Olympic Shooting centre, which was nowhere close to enough to earn a berth for the finals. After finishing a lowly 30th in the Precision stage, Heena started the first series of Rapid with a 97 out of 100 and then fired another 97 in the second series, which lifted her to the 19th position. In the third series, she faltered big time to fire 96 to take her cumulative score to 290 from the Rapid stage. Earlier in the day, Heena never really looked to be in the hunt as she started the first series of the Precision stage with 95 cumulative points before dropping to 17th position with 95 points in the second series. Starting the third series at 17th place, she failed to produce a spirited performance and managed to score 96 to further dip to the 30th spot with a total score of 286. The combined score of 576 in the qualification round was not enough for the Ludhiana shooter, who managed to hit sixteen 10s overall.